Restaurant Style Refried Beans are Delicious! 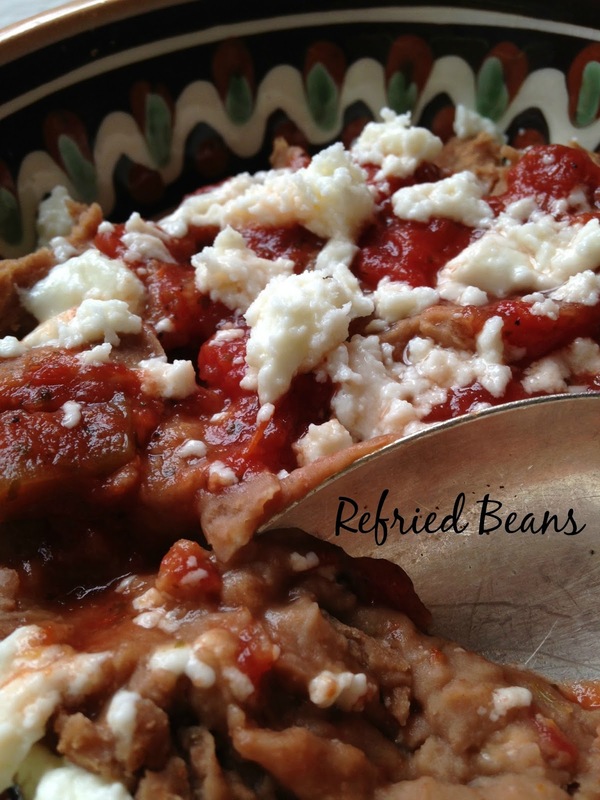 Once you make this recipe for refried beans you’ll never buy another can of refried beans again….ever. A huge bonus…..this recipe is made in the crock-pot! 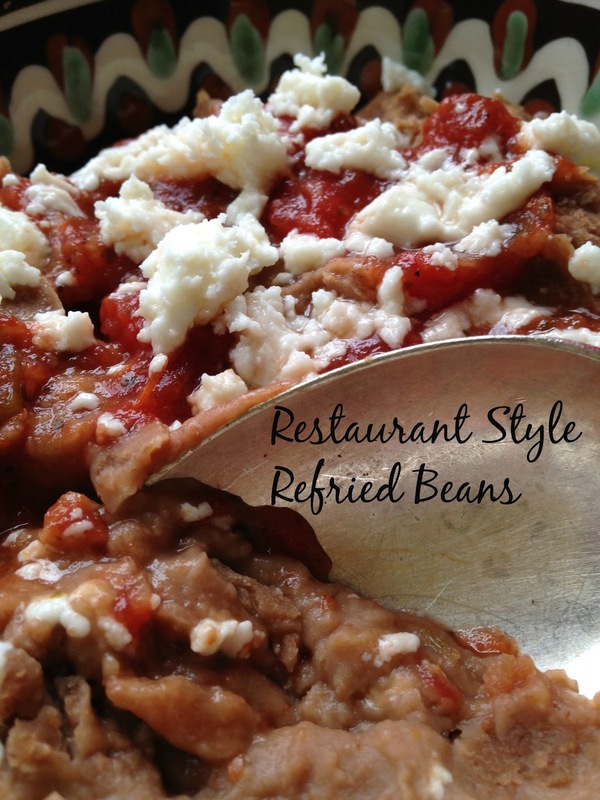 Refried beans are great served alongside any Mexican meal and this recipe for restaurant style refried beans also makes for a great bean dip or torte. My son Bob would love this recipe, get your crock-pot out Kim! Everyone knows what bean dip is but what is a torte? A torte is a delicious layered dip made for any occasion. 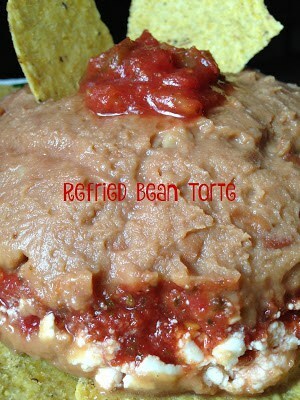 Torte’s can be made with cream cheese, pesto, sun-dried tomatoes, salsa, shredded cheese, or guacamole. Layered in a plastic wrap lined mold, bowl or loaf pan and then refrigerated several hours or overnight. 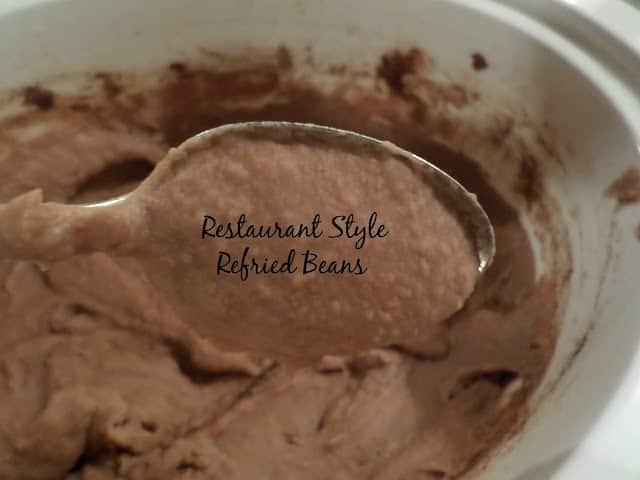 Use an immersion blender to puree the beans until smooth. Add more water if needed. Add vegetable oil and season with salt and pepper to taste. Serve as a side dish with salsa and shredded queso cheese. Line a 6-cup mold, glass bowl, or 8 x 4 inch loaf pan with plastic wrap. Spoon half of the refried beans in bottom of mold, bowl or pan; smooth top with spatula. 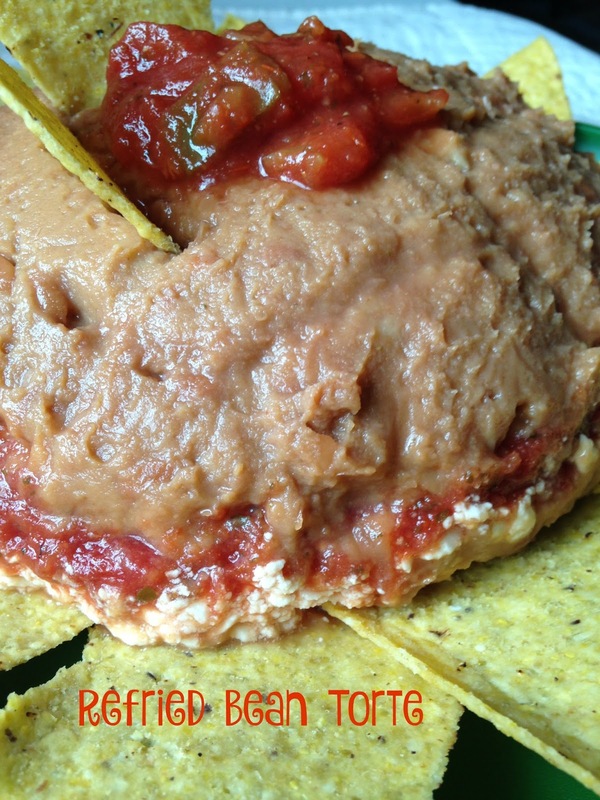 Spoon salsa evenly over refried beans; smooth top with spatula. Sprinkle with shredded or crumbled queso cheese. Tap filled mold, bowl or pan on counter to pack down. To serve: Turn mold, bowl or pan upside down down on serving platter. Remove plastic wrap. Serve with tortilla chips, broken taco shells or corn chips.